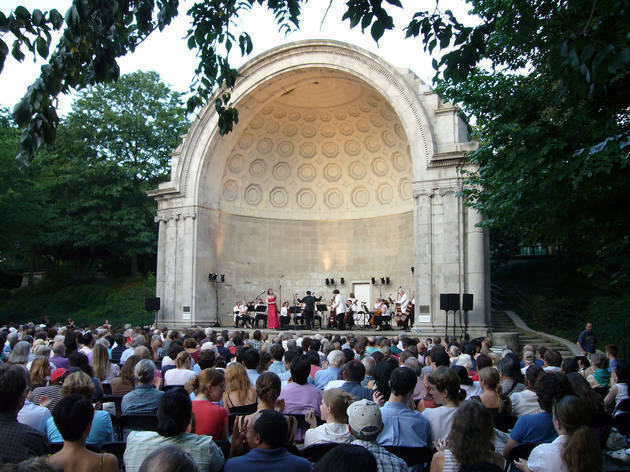 “For the concert on July 2nd in Central Park, we are thrilled to announce that our orchestra this year will be composed of members of the Metropolitan Opera Orchestra, and other outstanding New York musicians, along with top students from the Juilliard School of Music, Manhattan School of Music, Mannes School of Music, and others,” said Producer Dani Bedoni. MC. Alvise Casellati is the president and music director who will conduct the orchestra. Alvise Casellati is considered one of the emerging talents of the latest years. He is President & Music Director of Central Park Summer Concerts, an organization that produces “Opera Italiana is in the Air", the annual event in Central Park, New York and other cities in the US, with the aim of promoting knowledge and appreciation of Italian Opera targeting in particular the young generation. 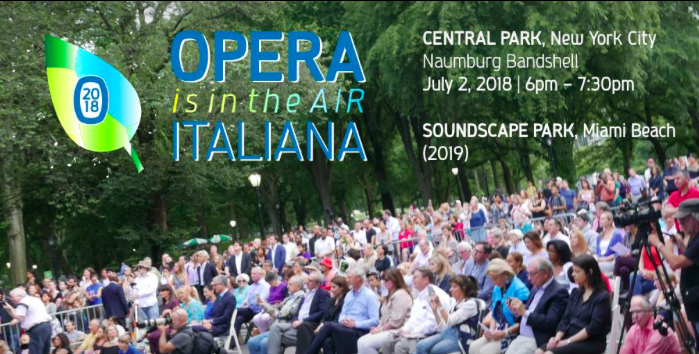 Opera Italiana is in the Air will be focusing on arias, duets and quartets in order to entice the audience with melodious sounds. In 2017, spectators were blown away as over two thousand members of the community came together to support the artistry of opera. But, this is not only a time for individuals to enjoy a free and professional performance. Students with incredible talent from top music schools in the area, including: The Julliard School, Manhattan School of Music and Mannes School of Music, will be able to showcase their talent through selective pieces for the audience. The goal of the evening is to educate the younger audience on the wonders of opera and its cultural relevance in society. From the history of Italy's music to the Italian language itself, the performance will give Italian culture the opportunity to promote the wonders of a community deeply immersed in the arts. The repertoire will focus on arias and ensembles from Verdi’s Rigoletto, Traviata, Rossini’s Il Barbiere di Siviglia, Puccini's operas and others. A brand new arrangement composed especially for the concert will be broiught on stage by Paola Prestini (one of the top female composers in the world) and 13 year old Paulina Castro, from the New York Philharmonic’s Very Young Composer program. Event Sponsors include: FIAC, ACP Group, Alexander Bodini Foundation, Brooks Brothers, Banca Intesa, Bel Real Estate Group, Bracco Diagnostics, Inc., Urbani Truffles USA, ’O Magazine, Cremonini Group, Colavita USA, Candoni De Zan Family, Susan W. Rose, Harvard Law School Association of New York, Eataly, The Eduardo & Antonella Salvati Foundation and with the support of the Consulate General of Italy in New York and the Italian Cultural Institute of New York. Come experience a night that you will never forget!